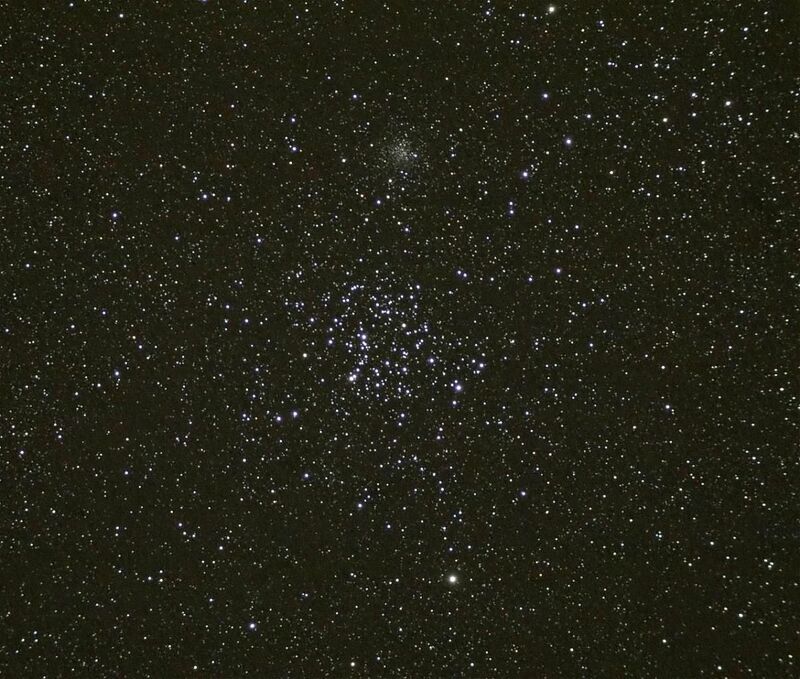 M35, an open cluster in the constellation of Gemini was discovered by Chéseaux in 1745. Its apparent size is equivalent to the Full Moon and it contains several hundred stars, 120 of which have a magnitude greater than 13 and are therefore visible through a small telescope. This cluster is worth looking at for its practically circular appearance. Just beside there is another smaller and dimmer cluster, NGC 2158. An image by "Mingus" (the person's pseudonym on the forum) taken using a digital reflex camera with a 66 mm diameter lens.